Quercus Gallery is proud to present a solo exhibition of work by Vanessa Gardiner. 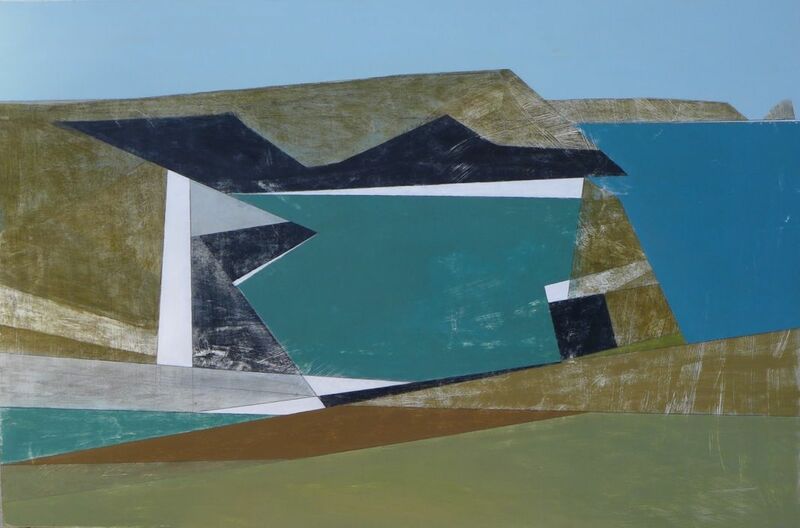 Edge Lines introduces a new group of drawings and paintings from the North Cornish Coast, exhibited alongside a collection of works executed in Greece. For this exhibition, I have returned to the coastline around Boscastle in North Cornwall - a dramatic landscape I have known for many years, where the natural crook of the harbour is almost enclosed by the precipitous forms of the dark-slate cliffs. It is from these high vantage points that I like to base my paintings, starting with a series of closely-observed drawings which I use to compose the pictures back in my studio."